Slipknot has announced on their official website that, following a lawsuit launched against other members by percussionist Chris Fehn over a payment dispute, he has been fired from the band. The full message from the band can be read below. Statement from the band: "Slipknot's focus is on making album #6 and our upcoming shows around the world, our best ever. Chris knows why he is no longer a part of Slipknot. We are disappointed that he chose to point fingers and manufacture claims, rather than doing what was necessary to continue to be a part of Slipknot. We would have preferred he not take the path that he has, but evolution in all things is a necessary part of this life. Long Live The Knot." In the lawsuit, Fehn claims that vocalist Corey Taylor and Shawn "Clown" Crahan set up several other affiliated businesses to make money off the band without the members' knowledge. He appeared to be backed in his claims by former member Donnie Steele, a founding guitarist who parted company with the band but would rejoin in 2010 following the death of bassist Paul Gray, to perform bass behind the scenes. In a since deleted Facebook post, Steele claimed that the band didn't do much writing and that everything was done "behind the other member's backs." A nomination for Drama Of The Year - Metal Storm Awards 2019! 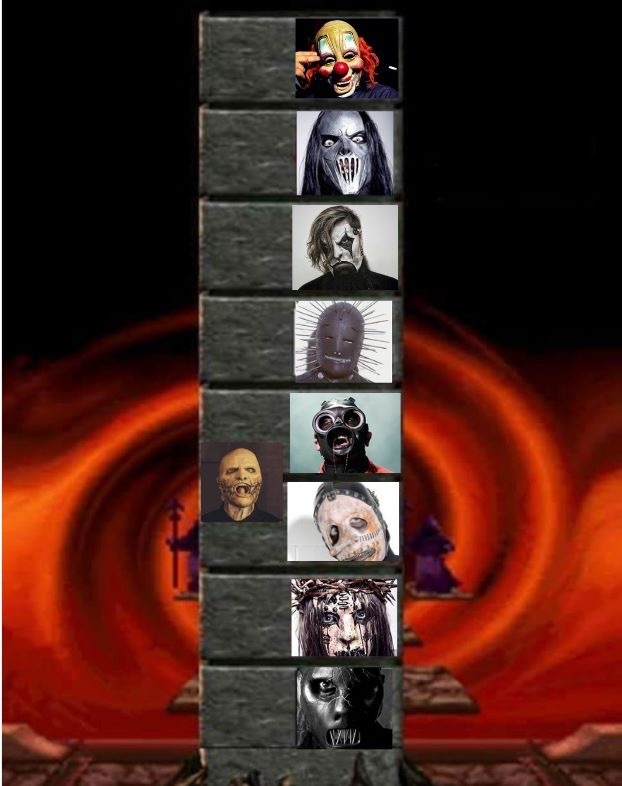 How low Slipknot will go more for the new record? get lower strings for the god sound of djent? RIP Slipknot. How can they continue after this irreparable loss? Fans are waiting who will replace him, hm. But is there any...need? To be fair, Shawn has been stealing money from Slipknot by just simply being there. What does he even do in the band? They already have a drummer, why have two more people for "percussion"? To be fair, Shawn has been stealing money from Slipknot by just simply being there. What does he even do in the band? Or Craig, for that matter. Haha Good to know. I'm not trying to bad-mouth the guy, but I mean, he made a career hitting a trash can and has no individual songwriting credits in any Slipknot song. I can't see him starting or being invited to another band. I believe he's the primary all around songwriter, so he's just percussion to kind of balance that out. I wonder if Revolver will tell us how Corey feels about it?